I got to 10kg today! Its the equivelant of 22lbs. I am getting my hair dyed. SO EXCITED! I just wanted to thank you all for your help and support. The first one (I'm on the right) is in May last year where I was probably way over 260lbs and the second one (I'm in the middle) is from last weekend at my besties 21st. 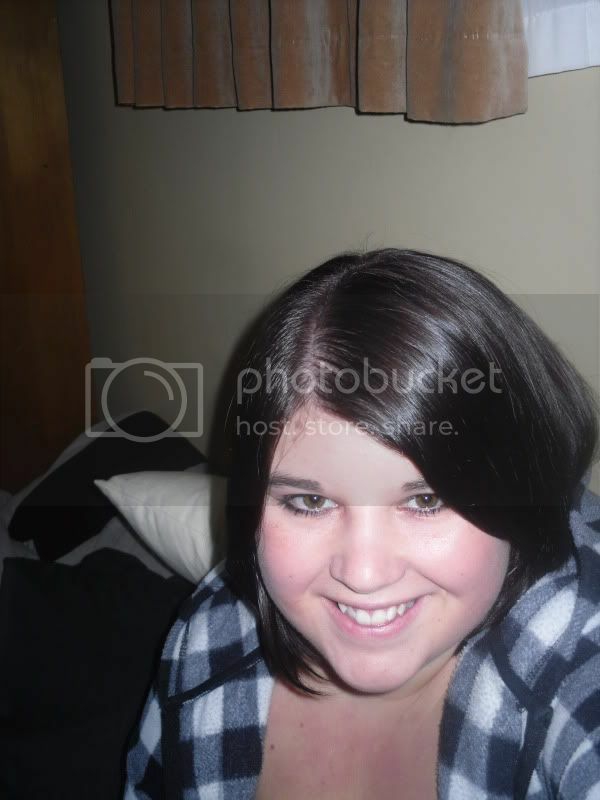 Last edited by bex; 05-11-2010 at 03:42 AM. Congratulations on looking healthy and happy! And I love your dress! Keep going! Wow congrats! Your doing great! I am starting to feel pretty good about myself now! Gotta keep goin though. You look so pretty in that second photo Also so much more at ease in your own skin. Well done, you are doing fabulously ! And here is my new hair! First time I have ever got in dyed professionally and I LOVE IT! Wow, there's a big difference in your face and your hair looks just awesome! Really shiny and healthy! I am in such a good place at the moment. Hoping for another good weigh in tomorrow! Congratulations on your lose!!! I agree that the weight loss has made you look happier and healthier. Your hair is beautiful and so are you. Every pound will make that ticker go down. Feels good doesn't it.